Originally thought to be the next full-length installment in Konami’s long running stealth-action franchise, Ground Zeroes has since been cut down to little more than one intense rescue mission. What you’ve heard of Ground Zeroes is very true, the main campaign will last you a little under three hours, with the side missions taking up to another hour to complete. Length isn’t a slight against Snake’s latest mission however, as Ground Zeroes acts like an appetizer for a hefty meal, and once the credits rolled I was more than excited to play The Phantom Pain in 2015. Series creator/director Hideo Kojima returns to the series he said was complete with 2008’s MGS 4: Guns of the Patriots, but as with any auteur, he clearly had another story to tell. Picking up where MGS: Peace Walker left off, Ground Zeroes places you in Big Boss/Snake’s shoes once again, this time on a covert mission to Cuba in order to rescue two key characters from the previous game. Unlike in past releases, Snake is a man of few words this time around which is a shame seeing as how the role has been taken over by cult favorite Kiefer Sutherland. David Hayter’s portrayal of Snake is now a thing of the past, so is for that matter, the level of self-parody that the actor had recently brought to the role. Gone are the constant grunts of Hayter’s Snake, replaced with Sutherland’s more grounded and realistic take on the role. Using motion and face capture for the first time in the series, Sutherland brings a physicality to the character that’s true to life and less “gamey”, making it seem like a real person is performing at the touch of a button. Control is a lot more streamlined this time around with no more complicated CQC techniques. Everything from interrogations to sleeper holds to silent kills are performed with a simple combination of the analog stick and a shoulder button, being much easier than MGS3’s archaic technique. Also improved are the shooting mechanics, which while more arcade in style really suit the series, it was a breath of fresh air to be rid of the always bizarre backwards L of a selection screen, replaced with the now commonplace cross menu. Though it will hurt your ranking at the end of the mission, Snake finally feels capable of entering a firefight and coming out on top, an outcome that while possible in earlier games, can now be done with ease. The introduction of drivable vehicles helps a lot on this front, with Jeeps and trucks adding variety to how you can take down a group of baddies. Another improvement to the series are the visuals as Ground Zeroes really shines on next-gen consoles, Playstation 4 in particular. Kojima’s proprietary FoxEngine is an amazing piece of tech that showcases some of the best lighting and particle effects to date on a home console. Streaks of rain run down Snake’s face in a realistic fashion and during daylight missions the sun is almost blinding, if you get this game for a last-gen system, you made a mistake. Outside of Ryse: Son of Rome and inFamous Second Son, you’d be hard pressed to find a more visually impressive game for either PS4 or Xbox One, which becomes apparent during the game’s epic firefight of a climax. Back to business at hand, though a short game by any standard, Metal Gear Solid: Ground Zeroes is a thrilling experience that’s not to be missed by fans of the series. Graphics aren’t everything and thankfully Ground Zeroes has enough on its side in the gameplay department to justify its $30 pricetag. [button color=”green” link=””]Recommended[/button]This is Solid Snake not as you remember him, but a new interpretation of the character, an interpretation that should be fully realized once MGS 5 proper releases early next year. 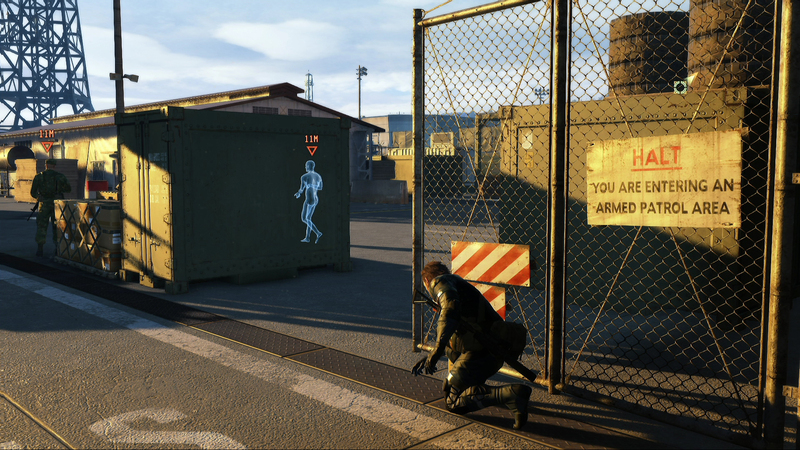 With new mechanics and a gorgeous new engine, MGS: Ground Zeroes comes highly recommended. Metal Gear Solid: Ground Zeroes was reviewed on the Playstation 4 with a copy that was not provided to us. Lifelong gamer from the Garden State. From Atari 2600 to the Wii U...He's seen some things and had some radical adventures along the way. You can follow him on Twitter @TheRealMattC or e-mail him directly via Matt@LevelSave.com.